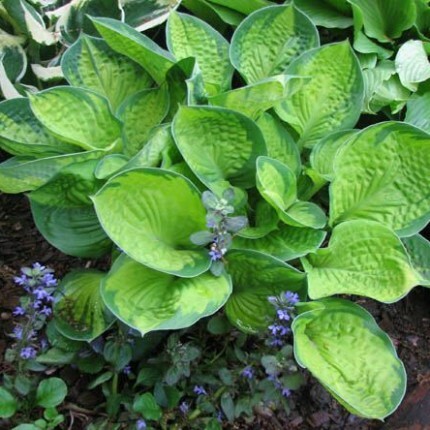 Small: 10″ x 25″ mound; Heavy substance, puckered, round gold leaves with green margins. 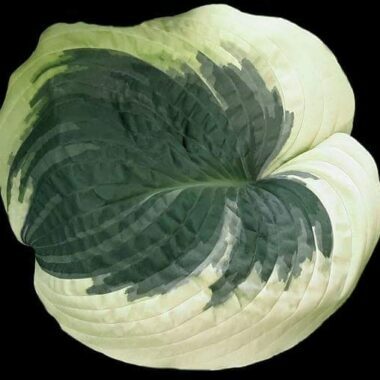 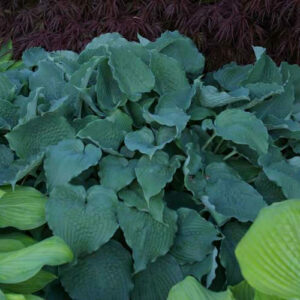 Leaf size is 7″ x 6 3/4″. Lavender flowers July. 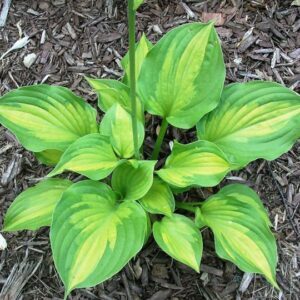 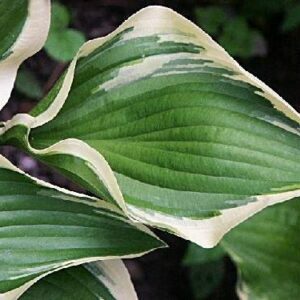 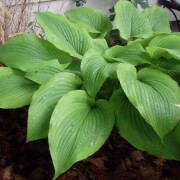 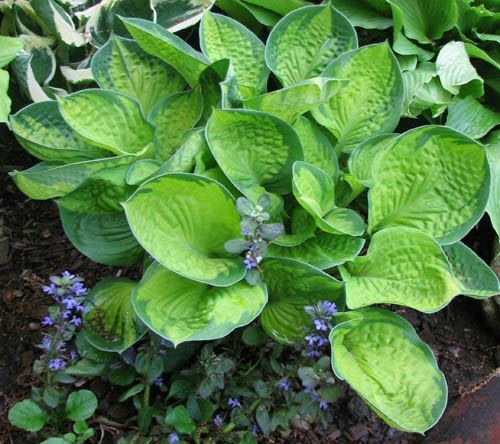 Rainforest Sunrise Hosta – This amazing small hosta is a sport from Bill Vaughn’s amazing dwarf, H. ‘Maui Buttercups’. 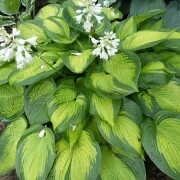 The fluorescent golden leaf is surrounded here by a dramatic border of black-green. 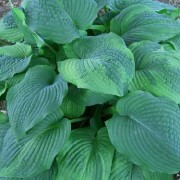 Given the tropical Hawaiian theme of its parent, Jim named the plant ‘Rainforest Sunrise’.